Creative Document Systems is a full service provider of Document Finishing products, including: Book Binding Equipment, Book Binding Supplies, Presentation Materials, Wide and Narrow Format Laminating Systems, Document Shredding Systems and various Paper Handling and Mailroom products covering the state of Arizona. We specialize in helping companies to produce high quality, professional bound and packaged documents in their office. We offer a wide array of supplies and materials from stock covers, and binding supplies, to customized branded products such as printed cover sets, ring binders, index tabs and pocket folders. We can help you from the Board Room to the Mail Room. We have over 20 years experience in document finishing and we help companies produce professional documents and customer facing materials conveniently in their own office. Whether it is bound, laminated, or packaged in a custom binder or pocket folder, we will help you look great! Additionally, we are experts in document destruction and document security, and we provide factory service, training and support on most brands of equipment for our clients so that they know their equipment is always in peak condition. Please feel free to contact us via email or by phone for our latest pricing and for quotations on our products. We do not post our pricing on the website since items frequently change, and we strive to provide our customers with the most competetive pricing on our products. In many cases we can provide pricing based on annual usage. The ColorMax8 Digital Color Printer combines the latest in inkjet technology with the capacity to produce full bleed, full-color mailing and packaging solutions. In addition to envelope printing and addressing, the wider, flatter paper path allows users to print on stuffed envelopes, 10 x 13 flats, chipboard, corrugated cardboard, cartons, padded envelopes and more, up to 3/8” thick. Its Memjet® print head has 70,400 ink nozzles and no moving parts, which offers higher speeds, lower ink and maintenance costs and less noise. An intuitive 7” color touchscreen provides greater control over the entire print process, displaying system status and providing access to common functions and settings. 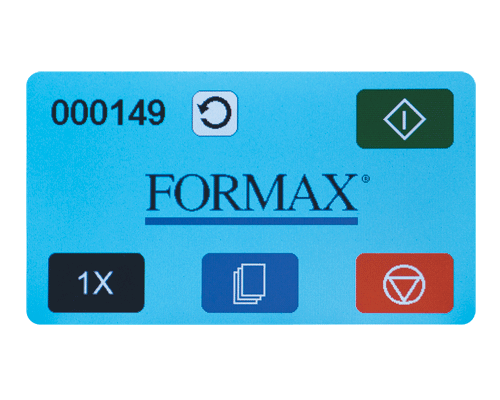 The ColorMax 8 produces full-color CMYK output, up to 16.8 million colors, on a variety of paper stocks and sizes, with full-bleed capability on media up to 8.5” wide. It can print 1600 x 1600 dpi at 6 inches per second, and 1600 x 800 dpi at 12 inches per second. Dye Sublimation Is HOT! HOT! HOT! We are excited to be offering the complete line of Royal Sovereign Dye Sublimation Calendaring Equipment in Arizona. Products range from high production units down to low production and all are able to run roll to roll or piece production. NexxPress™ line of Calender Heat Transfer Systems has available options of an extra long infra-red heated drum or a traditional self-contained oil heated drum (available in 14″ø, 22″ø or 34″ø), each ensuring a smooth and even heat distribution. 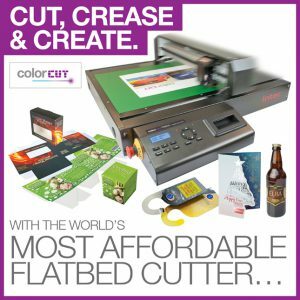 Engineered for Roll to Roll Production and for Piece Production with sizes ranging from 65″ up to 122″, Royal Sovereign has evolved to need your dye sublimation transfer needs. With the ability to laminate and foil-flare straight out of the box, and with minimal training, this high-quality production unit will soon start earning its keep – and you a great reputation!Intec ColorFlare: Raising ordinary print work to ‘extra-ordinary’. ColorFlare has been developed to meet specific print-finishing requirements and built to exacting technical standards – with fully controllable pressure and heat processes, devised to deliver optimum results with today’s digital print output. Both lamination and flaring-film rolls are available in a choice of widths and lengths to deliver great value and cost-effective production – particularly when using the CF1000L model with its extended input table for banners and long media.CF1000The Intec ColorFlare 1000 is our entry model, providing everything you need to laminate and create high-end decorative effects for premium print. 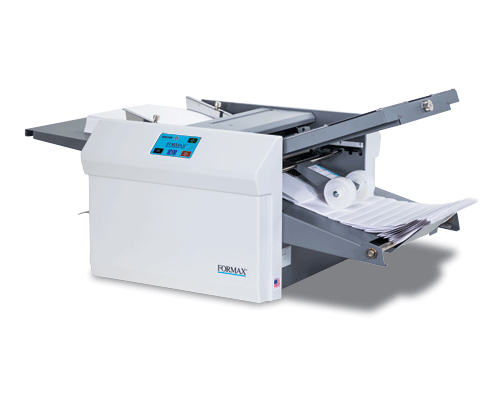 The Intec ColorFlare 1000L boosts productivity and ease-of-use, featuring the superb ‘extended format table’, making production easier and also enabling the production of long poster/banner media. The Intec ColorFlare 1000LX is our flagship model, including all the features of the CF1000L and the additional 2nd Flaring Roller assembly, enabling both Laminate and Metalic foils rolls to be loaded simultaneously – reducing your setup time and enabling much faster switch over. 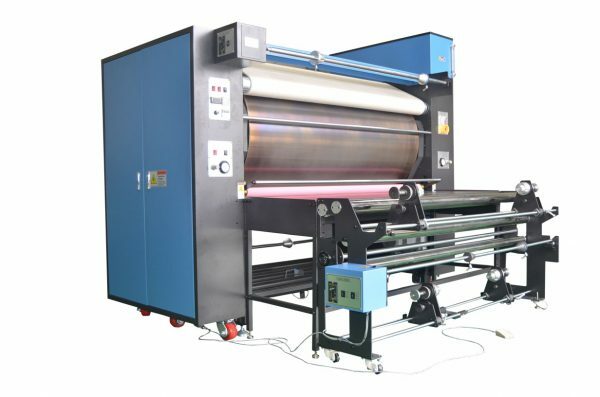 In addition, the unique additional Flaring Roller assembly enables dual metallic rolls of a similar size to be loaded for foiling of multiple different colors at the same time. Rhin-O-Tuff® Announces the New Tornado Autopunch EX™ – The World’s First Automated Collating Punch System- utilizing BDT’s patented Tornado technology. 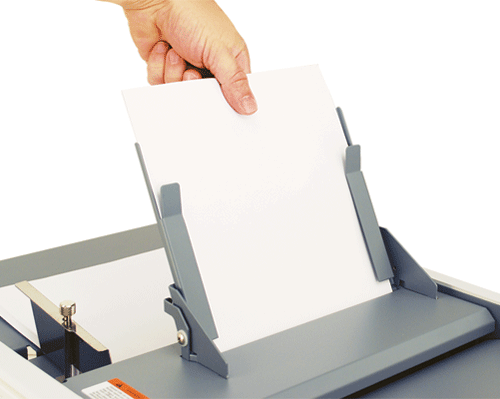 Creative Document Systems is the Rhin-O-Tuff Authorized Dealer for Arizona and Southern Nevada. 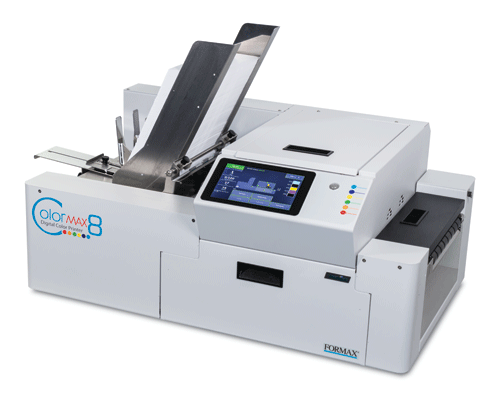 The Rhin-O-Tuff® Tornado Autopunch EX is an industry breakthrough system that uses BDT Print Media’s advanced media handling technology to automatically feed, collate, punch and deliver offset book stacks ready for binding in a single platform. The system will save binding service providers up to 40% in process efficiency, dramatically reducing overall costs. Handling the widest range of media in the industry, the system delivers unparalleled flexibility and enables concurrent binding operations. Perfect for on-demand, short runs the system includes easy programmable job set-up, monitoring and changeovers. A single off-line automated collation and punching platform to meet the needs of your on-demand print environment with a quick return on investment. Powered by BDT’s patented Tornado Technology to separate, lift and transport the widest range of media, including printed media and other book components like covers, tabs and inserts reliably minimizing downtime. 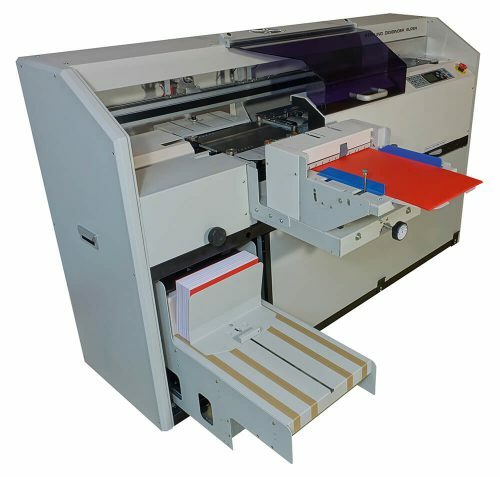 The system handles media from 60gsm – 312gsm, including light porous/heavy coated print media and specialty binding media like plastics, vinyl, and textures. Two Interposer Bins hold up to .59” (15mm) of media, auto-collating front/back covers, inserts and index tabs into the book stack prior to punching. No manual collation required. High-Capacity Main Bin holds up to 2500 sheets, including mixed media*. 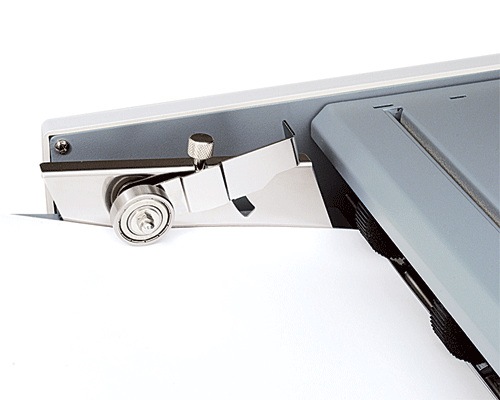 Designed to accumulate covers, tabs and document sheets and auto-adjust the punch lifts depending on the type of media being run for maximum punching performance. Proven Rhin-O-Tuff technology punches up to 10,800 sheets per hour, improving throughput. Book stacks exit collated and ready for binding, enabling operator’s to start the binding process while the punching job is still running, saving time and labor. The indoor air we breathe has an under-appreciated influence on our well-being. Statistics reveal that we spend up to 90 percent of the day indoors – more time than ever before. Considering this, not a lot of effort is needed to grasp the impact that air quality has on our well-being. Those who can work in naturally healthy air work better because they feel fine, can clearly perform better, and are sick less. But good air is often hard to find in the office.